There are thousands/millions (4m + as per WP repository) of WooCommerce store out there. According to Wikipedia, It alone powers up more than 30% of all e-commerce stores. Along with that, there is also a massive increase in people making online purchases. According to statistics from statista.com, retail sales on online shops have increased by around 42% from 2014 till 2017. But still, there are many WooCommerce store owners who are facing challenges to reach their targeted sales goal. In this post, we will discuss how to overcome those challenges and boost your sales up. While making a WooCommerce store, you have to keep in mind that your site needs to be user-friendly as much as possible. The first thing you need to ensure is that the site doesn’t look too complicated. Look for and use a simple, but a standard theme that is compatible with WooCommerce. Make sure to adopt such themes that suite best with your store nature. Keep the search procedure for products one step ahead of your customer. Include an AJAX search feature to your site and don’t forget to include product filters to help customers narrow down from a handful of products. Add the feature of displaying recommended products similar to prospect’s search history. There are several WooCommerce extensions available out there to help you out with these. During holidays/festivals, people all over the world are in a joyous mood. They are allured to see something exciting in your store. More people find leisure time and usually make more purchases online during the holidays. Statistics show that during holidays, online sales increased by 15.5%. It is wise to take advantage of it and increase your sales by exclusively modifying your WooCommerce store just for the holidays. Try altering the colors and designs of your store in a way so that your customers get the message that you are ready for sales and making their holidays better. For example, you can set a colorful holiday banner highlighting your biggest sales offers during this time. 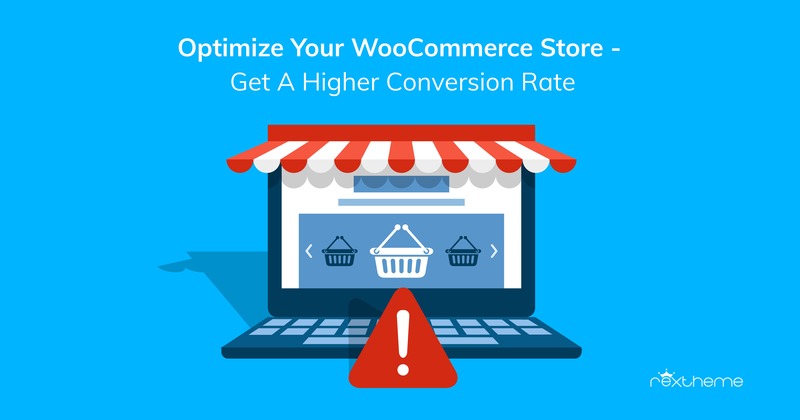 If you add some exciting offers to your WooCommerce store during special occasions, it will surely boost your sales up. You can offer discounts on products that highlight the occasions. Or you may also provide other special discount offers. For example, you can announce a 10% discount on any $150+ purchases made. Or you can create bundles of multiple products and offer a discount on the subtotal. Some companies also offer free shipping during the holidays. Holidays are also a golden opportunity for you to introduce to new products and to engage in campaigns to enhance your market. Take it seriously and start your holiday plans from now! With the increasing number of e-Commerce stores, it has become essential to maintain high security. Prospects are always careful about inputting their confidential data such as debit/credit card information online. Make sure to add SSL certificates to your store. This will help you to give an encrypted form of data for your users’ identification and other related information. Without this, search engines will mark the site as ‘unsafe’, which will definitely discourage your client from staying on your site. You can do a few more things to keep your store more secured. Give a strong password for your WooCommerce store admin panel so that hackers cannot find their way in. Make sure to keep regular backups of your site. Also, Keep all your plugins and themes updated at all times to maintain site security. Limit the number of administrative roles to as less as possible. On average, visitors do not like to wait more than 3secs for your site to load. Hence a slow site can be a reason to lose potential prospects on your site to your competitors. Not good, is it? Monitor your site’s loading speed on regular basis. Tools like Google PageSpeed Insight & Pingdom help you to keep a track of your site’s speed on mobile and on desktop devices. Images are the vital contents of your store. But heavier images will take more time for your site to load. Make sure to optimize your image sizes to a moderate dimension where it is not too heavy and at the same time can give you a good resolution. Normally, an image doesn’t need to be larger than 150kb for large full-width preview. Your image size should be smaller than that. To learn more about it, click here. Once you have tried the basics and your site is still slow, it is best to consult with your hosting provider or professional developers. But DON’T IGNORE. Up-selling and cross-selling give you the option to make your customers aware of the additional products in your store that they might not have encountered yet. Up-selling encourages buyers to purchase a comparatively higher end product than the one in hand. Cross-selling suggests them to buy products or accessories related to main the product. In e-commerce marketing, these two practices are very highly effective. Both focus on adding customer value which can prove to be useful or related to their lifestyle. The process is very short and easy. You can add products to your cart that you wish to promote or suggest on your own. Follow the instructions here. Email marketing is a great way to spread the word about your products and offers to the users. Once a user has subscribed, you can send e-mails to the users regarding any new offers or exciting news you may have regarding your store. Then again, keep in mind that e-mail marketing also requires proper market analysis. You need to understand the latest trends and demands of prospects and then decide on whether it is the right time to CTA. This will create an effective conversion. Sending too many e-mails and newsletters notifications can irritate your customers and you may even lose a substantial amount of prospects. Hence, it is wise to send emails with proper purpose and not spamming. When it comes to managing your products, choosing a good Title is important. Often, vendors focus on much-complicated areas rather than the title itself. But, a proper title is vital in catching your prospect’s attention. What you like/dislike about your competitor’s product names? Are they too long/ short/ direct/ memorable? Find out these facts. Do they follow proper keyword research? Are they proper SEO compatible and How? Make your research, before going into details, check several times if your content follows proper keywords or not. Take help from online keyword checker tools(such as kwfinder) if needed. This will surely bring you some good news. What are the reviews of customers about the titles? This is very important to get an overall idea about how your title should be. How they fit titles for each category (Branding, Purchasing, Packaging) of items? And how your one should be? In this way, you might even find your competitor’s title too long or too short. And you can create something more innovative of your own. The common trend in the online market is, most of the WooCommerce site vendors are resellers. If you are one of them, GTIN can do wonders for you. GTIN means Global Trade Item Number. Google’s algorithm takes GTIN into consideration. Through this, the advertisement of your product feed is pulled from the supplier’s catalog. And then placed in the auction with other resellers of similar products. Once you get your listing into Google’s Product Listing Ad, you will be getting quality leads for your site. Thus resulting in better CPC and boost in your ROI. You will be able to get placements with search queries like “Top” or “Best”, portraying your products as the better ones. Hence it is only logical to include GTIN while managing your product feed. The current popularity of online stores influence thousands of prospects to make online purchases every second. People are inputting sensitive data (such as their banking information) on e-Commerce sites which may be stored in the database. The more the data, the greater the possibility of a data protection breach. (Others have personal conversations on social sites.) Thus there will be a major tantrum if the information is stolen or misused. To prevent millions of users from falling a victim to these kinds of disasters, GDPR was introduced on May 15 of this year, requiring all the organizations in Europe, who hold data of internet users, to provide a high level of protection and offer explicit control to users on their personal information. If an organization fails to comply with the rules of GDPR, possibilities are it will be fined with administrative fees of up to € 20 million. Although GDPR is a law in many countries in Europe, this can also affect offshore businesses where GDPR is not mandatory. Any business all over the world, that is willing to collect information from a European prospect, must comply with the GDPR rule. Make sure your store is compliant with the GDPR laws if you don’t wish to miss out on European prospects. A product description is very important to create awareness among customers about your products. You may follow the instructions below to make your product description more effective. Try to keep the description within 300 words, but then again, this really depends on the product. But don’t make the description long unless it is really necessary. For uncommon products, keep in mind that the prospect reading the description may or may not know of the product. Hence you need to construct a description that is both readable and useful. Try to match specific details in your description to the product description of its actual manufacturer. This way, the users will find the information in your site more relevant and credible. Be honest about the product description. Avoid creating biased positive features or stop exaggerating about your product. If you provide false information, you might boost some sales initially, but in the long run, it might just have a negative effect. A single product can have different colors. You need to follow precise filters so the users can narrow down their search results. Use Color Attribute to describe the color of your product. Major merchant shops will deny your product if there is a mismatch between the product’s actual color and the information given on the landing page. Google Shopping uses primary colors to determine the varieties of product color. Although there are many shades of blue but Google may not recognize these unique colors. In this case, you need to learn how to bucket unique colors into primary color categories. Fortunately, there is an opportunity to add uniques colors like Mint Green, Lime to your product data to stay confined to the product brand. People love it when you give them a more authentic form of description along with a good content. In online shops, buyers cannot see the physical form of a product. This leaves them with complete reliance on the images you provide. This is why you need to be more serious when providing the images of your products. Include more quality images and avoid using unnecessary texts on your WooCommerce store. Keep the background of your product photos White and make sure the item gets enough light. A bad resolution will prevent buyers from getting into the details. It is your duty to make sure that your product photos have high resolution to support zoom in/out. Take photos of your products from different angles. This will make the intricate details visible to your buyers. There are other ways to enhance the popularity of your store’s content as well. Short GIF or 3D images are the latest options that are being used and can be very fruitful in engaging with your customer’s overall idea about your service or products. Trust and reliability are important when running a WooCommerce store. Hence, having a refund, return or exchange policy is important. For example, you may include a 3-day exchange or return policy if not satisfied with the product, and offer a refund in case it is a return. This will indicate that you are confident about the quality of your products and value customer satisfaction. Thus people will find you more credible and reliable. Artificial intelligence is rocking the virtual world out there. Global giants such as Google, Facebook, Amazon have already integrated artificial intelligence into their service. According to a survey, A.I. can potentially boost the overall industrious sales rate up to 38% by 2035. It is high time that we think of the endless possibilities that A.I. has to offer for WooCommerce stores. In fact, many plugins like Akismet, MyCurator Content Curator, WatsonFinds are already implementing A.I. One of the best Artificial Intelligence services is chatbots. Chatbots offer live chat service to your store visitors. They may guide users to their desired products or help users compare one product with another, all on their own. They give immediate answers to the relevant questions users may have. WoowBot is such a chatbot for WooCommerce stores. Consider including a chatbot on your WooCommerce store, if not included already. I believe that WooCommerce store is the reflection of your hard work. If clarity and proper standards are maintained to optimize your WooCommerce store, you can increase your potential prospects. Hence, you should focus on keeping up with the race and stand out among your competitors. Rownok Ara Nasrin is a former student of RUET. Along with the study, she is a self-inspired photographer, creative content writer, former project engineer and a bearer of an enthusiastic mind.